So, you’ve been dreaming about paving your path to success The innovative business, product, or service idea you’ve been mulling over for some time is a slam dunk, at least in your dreams. OK, it’s time to stop dreaming and do something about it.before someone else comes up with your idea—and your dream of success becomes their reality. Get moving.Tear yourself away from the computer, turn off your cell phone, and spend time undistracted working our three things you’re going to do right now to move a step closer to making your startup dream a reality..Take the bull by the horns, take action, and start building a tangible plan for success. Not sure where to start? 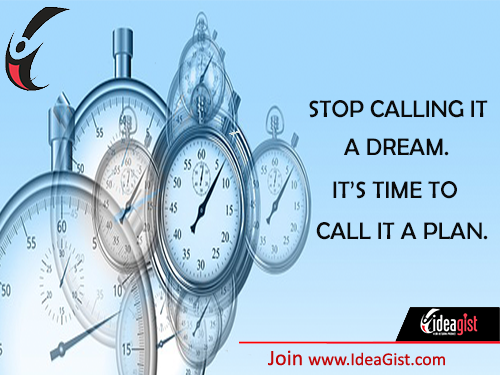 Find out how IdeaGist’s virtual online incubator can help guide you through the development process and help you take your startup dream to launch.,Click here to start.